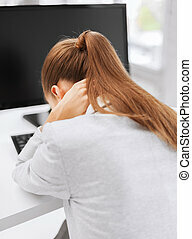 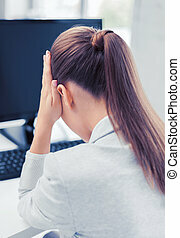 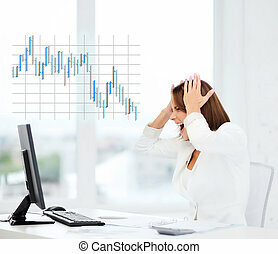 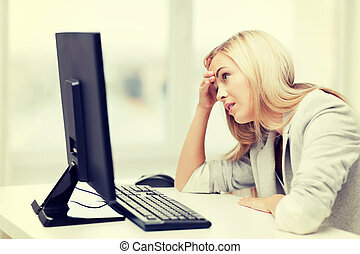 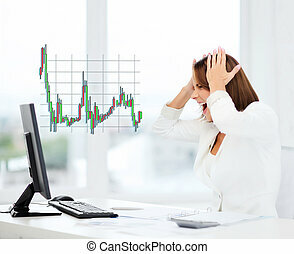 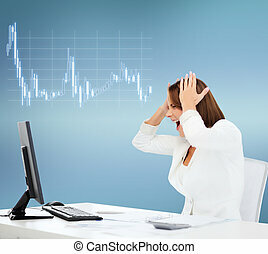 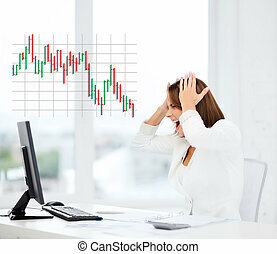 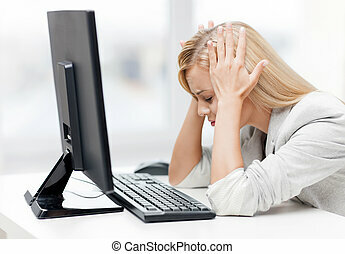 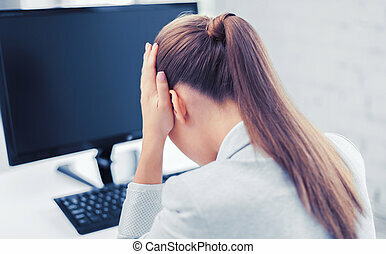 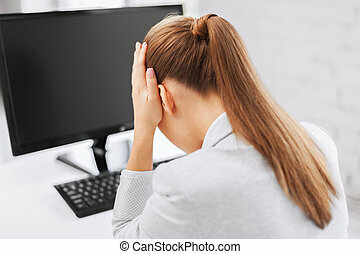 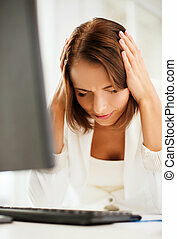 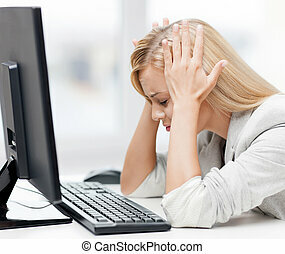 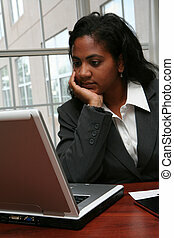 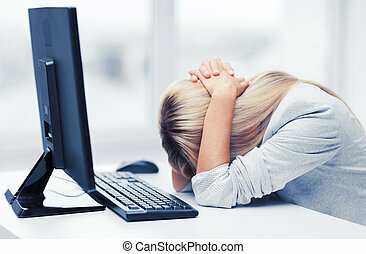 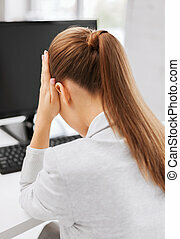 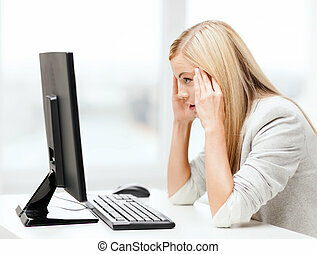 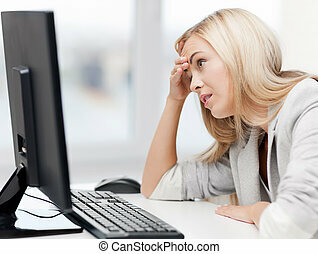 Stressed woman with computer. 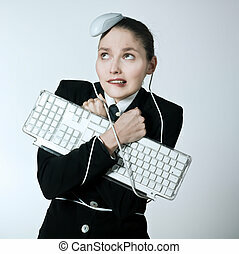 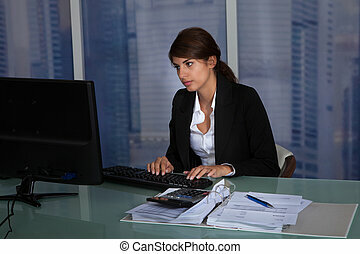 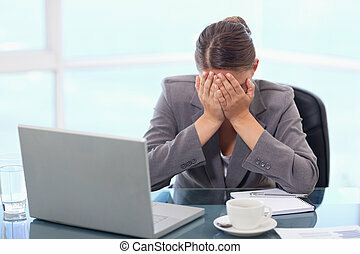 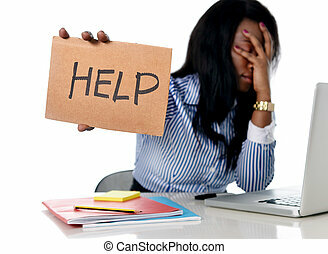 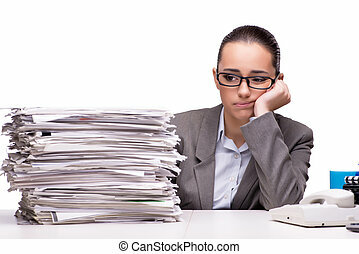 Business, office, school and education concept - stressed businesswoman with computer at work. 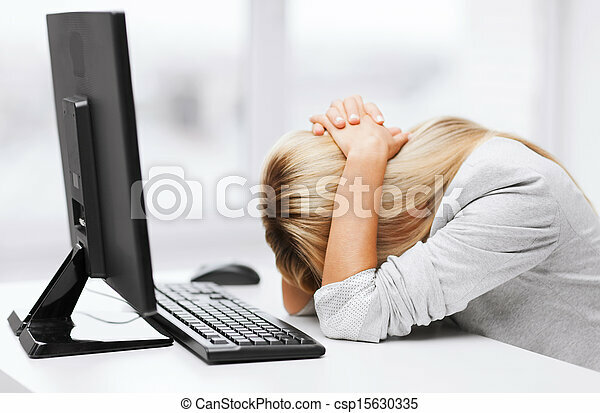 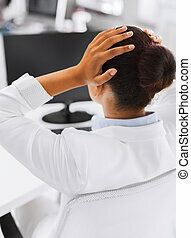 Attractive executive business woman working on a laptop computer frustrated with work.